How Did Hawaii Came to Be? If you want to witness up close fire and heat collide as the magma flows out of the earth, becoming the hot, orangey substance more popularly known as lava, Hawaii is definitely the place to be. A living proof of the splendid power of nature to create life out of mere rocks, fire, and heat, Hawaii boasts a collection of islands made of shield volcanoes resulting from volcanic eruptions. It actually took millions of years for the Hawaiian Islands to become the geographical wonders tourists from all over the world have come to enjoy. A lot has happened since the creation of the Hawaiian Islands that helped shape not only its breathtaking landscapes but also its culture and tradition. This article will be your guide to understanding Hawaii's history and how it has developed into what some people consider to be a paradise on earth. Whether you are planning a vacation to the Aloha state or you just want to know more about Hawaii, history is definitely a good place to start. The formation of the islands is an important aspect of Hawaiian history. Why? Because it gives insight into the immense respect that the Hawaiian people have for nature and spirituality. Approximately 40 million years ago, hotspots under the earth's crust pushed molten lava up to the surface, causing the formation of sea volcanoes, which, over time, rose to break the surface of the water and formed the islands. As the Pacific Plate rotated, the newly-created land mass shifted northwest, making room for the hotspots to form more islands until all of the Hawaiian Islands were formed. Today, tourists can visit eight main islands along with hundreds more of smaller islands and atolls when in Hawaii. Some say that the Hawaiian Islands practically popped in the middle of the Pacific Ocean, and it's truly a feat of natural wonder that made the islands into the lush landscapes they are today. Thousands of miles of ocean separate Hawaii from the nearest land continent, which means that Hawaii would not be as full of wildlife, plants, forests, or civilization if it weren't for the birds, the winds, and the seas. Needless to say, migrating birds, stirring currents, and howling winds all helped in transporting the seeds of various plant life to Hawaii, where the fertile volcanic soil helped nurture the growth of vast forests and grasslands. The isolation of Hawaii from other land masses led to the evolution of flora and fauna that are unique to the islands. As you can see, the formation and development of the Hawaiian Islands is rooted so deeply in nature. The same thing can be said about its culture. For millions of years, the Hawaiian Islands didn't cease to develop, although they're isolated from the other lands of the earth. In fact, it has only been an estimated 1,500 years since Hawaii was first reached and inhabited by humans and other mammals. The first mammals to inhabit the islands were introduced by some of the first human settlers. Although the exact dates and historical accounts about the original settlers are often disputed, still, it is widely agreed upon that these settlers were the Polynesians from the Marquesas Islands and Tahiti, which lie southeast of Hawaii. Arriving around A.D. 300 to 600, the first settlers in Hawaii were from the Marquesas Islands. These people cultivated the land and started to make it their own. At the turn of the millennium, around A.D. 1000, a second wave of settlers came to the Hawaiian Islands from Tahiti by way of large, double-hulled canoes. The Tahitians called the original settlers the Menehune, a name that is still used to identify the first wave of settlers from the Marquesas. The Menehune were widely oppressed by the Tahitians, which led to the original settlers seeking refuge in the mountains. For about 200 years, the Tahitians run the exploration and trade routes that ran back and forth between Tahiti and the Hawaiian Islands. As the settlements began to grow, the Hawaiian culture, ecology, and lore of the lands developed as well. The early development of this archipelago had a lot to do with the movement of its inhabitants. The Polynesians who first settled in the Hawaiian Islands brought a number of species of animals, plants, and vegetables with them. As such, these settlers also introduced the first non-human mammals to the islands. Some of the types of animal and plant life that the Polynesians brought to Hawaii include banana, coconut, sugarcane, chickens, pigs, dogs, and taro. Farming and cultivation became key factors in the continued development of these settlements, helping the settlers not only to learn about the land and use it, but also to thrive and grow as a civilization. The Polynesians introduced one of the earliest religious and political systems in Hawaii, known as the kapu system. They also had a tribal system with a social hierarchy wherein chiefs led their own clans and tribal groups. The year 1778 was the year when a European explorer by the name of James Cook and his crew stepped upon the shores of Hawaii, calling the strange new land the "Sandwich Islands." The rather odd name comes from John Montagu, who is the 4th Earl of Sandwich and one of Cook's sponsors. Although Cook is largely credited for having documented some of the first European encounters with the natives of Hawaii, his journey came to a swift end. On his second trip to Hawaii in 1779, Cook tried to hold a Hawaiian chief for ransom after learning that another chief stole a boat from one of the expedition's ships. Although Cook was killed by the chief's supporters, he helped introduce the Hawaiian Islands and its people to the Western world. Many other European visitors traveled to Hawaii in the name of trade, exploration, and even whaling. Unfortunately, the Europeans brought along with them a number of new diseases that wiped out the natives. It is estimated that by 1850s, measles, influenza, and smallpox had killed a significant percentage of Hawaii's native population. In the late 1700s, the Hawaiian chiefs engaged in a conflict for power and control over the lands and the people. Finally, in 1810, the battles ended after King Kamehameha the Great established his dynasty under the House of Kamehameha. As Christian settlers and missionaries came to Hawaii, many of the people were converted, including Kamehameha III, who was the first Christian king of Hawaii. The House of Kamehameha ended with the death of King Kamehameha V, who had no heir. An election was held, with popular votes favoring Lunalilo, who also died without naming an heir. This was a pivotal point in the history of Hawaii as Lunalilo's death led to the controversial 1874 election that incited riots. In an attempt to keep peace, Britain and the United States sent troops to Hawaii; the situation ended with the election of Kalakaua, who had lost the previous election to Lunalilo. Kalakaua was widely influenced and controlled by foreign businessmen and politicians who were looking to take control of the Hawaiian Islands and open it up further to international trade. The Reciprocity Treaty of 1875 was finalized and agreed upon by the Kingdom of Hawai'i and the United States. This treaty allowed duty-free importation of various goods from Hawaii, which ultimately changed the agriculture, society, and economy of the islands. In the late 1800s, a number of revolutions took place, causing social disruption, political instability, and international scandal in the Hawaiian Islands. A total of five rebellions and counter-rebellions occurred during the eight-year period between 1887 and 1895. Although there were a number of changes that occurred as a result of these rebellions, the most important are perhaps the overthrow of the monarchy (1887), the establishment of the Republic of Hawaii (1893), as well as the annexation of Hawaii as a United States Territory (1900). 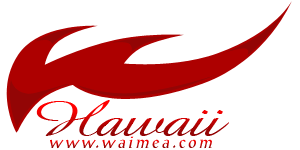 Throughout the 1900s, Hawaii continued to develop into the beautiful tourist destination that it is today. When Pearl Harbor was attacked by the Empire of Japan during World War II in 1941, the United States entered into the war and placed Hawaii under martial law until the war ended in 1945. On August 21, 1959, Hawaii was voted into statehood under the United States. The islands then experienced rapid growth in development, economy, and population after becoming a US state. The state made a gradual shift from a primarily agricultural economy to one that is centered on tourism. While the influx of tourists both has positive and negative effects on Hawaii, tourism is still one of the leading industries of this state. In fact, millions of people have visited Hawaii in the past few years in an attempt to find the so-called paradise on earth or simply bask under the same sun that has embraced the islands despite the volcanic, social, and political eruptions that marked its history. With the islands' pristine beaches, breathtaking sunsets, amazing natural attractions, interesting people, moving culture, and top-notch vacation spots, it's no wonder why so many people come to visit the Aloha State.